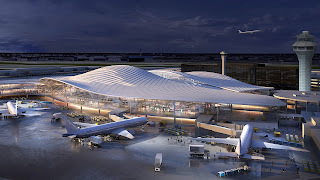 Chicago Mayor Rahm Emanuel has unveiled the finalists in a competition to design a new Global Terminal at O’Hare International Airport. 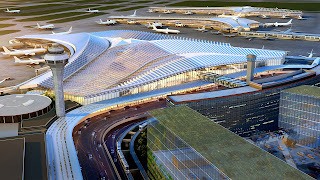 A team led by Skidmore, Owings & Merrill LLP (SOM), including renowned firms Ross Barney Architects and Arup, showcased its bold, honest vision for the new O’Hare Global Terminal, a locally-inspired, globally-informed design that represents Chicago’s history of innovation and role as a leading global centre. SOM’s design emphasizes sustainability, improving the passenger experience, and enhancing airport operations. Inspired by O’Hare’s history as “Orchard Field,” where the airport’s call signal “ORD” originated, the new Global Terminal is defined by light-filled spaces and amenities that reflect Chicago’s cultural heritage and vision for the future. Upon entering the terminal, passengers are welcomed to a soaring, double-height gathering space, where clear sight lines lead through check-in and security. Skylights deliver an even, diffused light throughout, reducing the building’s environmental footprint. The check-in, security and baggage claim halls are covered by a single, undulating, lattice-like long-span roof punctuated by skylights and supported by a series of elegant tree-like columns, recalling the site’s history as an orchard. To either side of the check-in hall, visitors are invited to take pause in a landscaped prairie replete with local Illinois plants and grasses, offering opportunities for respite. Designed to meet the needs of travellers from all regions, the retail and concourse areas offer unique amenities to create a local Chicago experience. 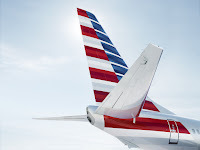 In the Neighborhood, the Global Terminal’s retail and culinary hub, passengers can experience a taste of Chicago’s food and arts scene with shops, restaurants, and entertainment drawn from across the city, from Wicker Park to Pilsen, and Little Italy to Andersonville. The Orchard gate concourse reimagines the airport waiting room experience. Here, you can go outside in a tree-lined garden open to the sky while waiting for your flight, and read a book while resting in a hammock. Infusing the concourse with greenery from the outside in, the airport is transformed into a place of rejuvenation. Nearby, spaces for work and play abound: enclosed and open-air children’s spaces, personal cabins, and interactive digital media spaces provide for the needs of travelers of all kinds. Blending passenger experience with operational efficiency, the Orchard brings the best of global airport amenities to Chicago—a first in the United States—offering spaces for fitness and meditation, multimedia and movie zones, and opportunities for rest and relaxation. The Arrivals experience provided by the Global Terminal will be unmatched. No longer framed by low-ceilinged hallways, international passengers will have views of the Chicago skyline before entering the baggage claim hall, under the same soaring ceiling as departing passengers. To either side, passengers see a prairie landscape. Once through Customs passengers are in the same soaring Arrivals Hall through which they passed at the beginning of their journey. Dedicated facilities to smooth flight connections, increased aircraft gates, efficient baggage and other airline operations and other state-of-the-art aviation technologies will make this terminal efficient to operate and easy to use. The Orchard combines the best Chicago has to offer with a design led by a team with unparalleled local and international expertise. It is a bold, honest, and timeless work of civic architecture in the best Chicago tradition. 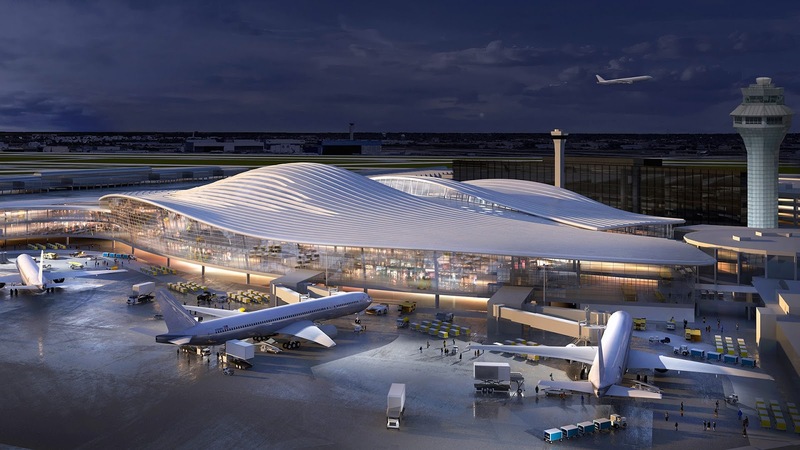 Designed for seamless operation of the powerful hub in Chicago for the nation’s top two airlines and their alliance partners, the Orchard exemplifies the goals of the O’Hare 21 expansion plan. As the O’Hare campus grows, the Orchard will cultivate the airport’s success, allowing for future expansion and change, providing financial viability, maximizing design efficiency, and serving our shared environment.